Candidates for governor on all sides of the aisle are bashing Governor Gina Raimondo and Mayor Allan Fung for not agreeing to primary debates on any of Rhode Island’s major news stations. 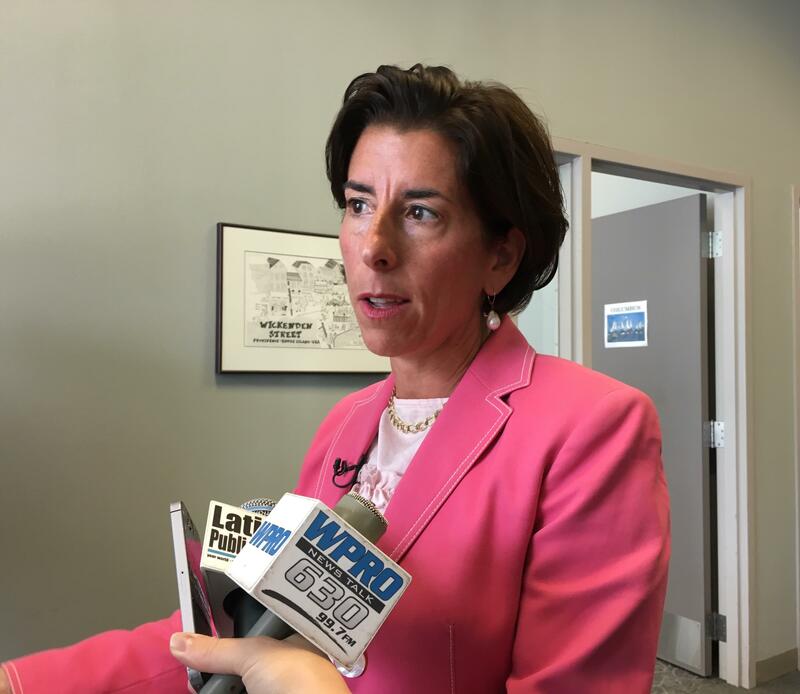 Though she said this could change, Raimondo said there’s no plan yet for her to debate her Democratic opponents Matt Brown and Spencer Dickinson. Fung has signed on to only one debate with his Republican opponents Giovanni Feroce and House Minority Leader Patricia Morgan on a radio station outside of the Providence market. Morgan criticized Fung during an interview with WPRO’s Matt Allen and doubled down in a later statement. Feroce took to Twitter to call for a televised debate. Great! Now let's do one televised with an audience as well, so people can have a full comparison of how we respond to tough questions and one another visually. Independent candidate Joe Trillo also weighed in. “Anyone who refuses to publicly debate their political opponents deserves to lose, because they’re not willing to do all the hard work necessary to show voters what they have to offer,” he said. “I’m running against someone now who isn’t a credible candidate and every time he’s been given a forum, he hasn’t acted in good faith,” she said of Brown. Brown hypothesized to WPRO’s Dan Yorke that poll numbers were behind Raimondo’s reasoning. “I think the issue is that she’s spent all this money on all these ads trying to increase her support among Rhode Islanders, and her numbers and her support just haven’t moved,” he said. WPRO has reached out to Fung’s campaign for comment. Listen to the full conversations with Morgan, Trillo, Brown, and Dickinson below. Listen to “Patricia Morgan – Demanding GOP Primary Debates” on Spreaker. Listen to “Joe Trillo – Allan Fung and Gina Raimondo are Cowards for not debating” on Spreaker. Listen to “Fmr. Secretary of State Matt Brown talks debates, education initiatives on Dan Yorke Show” on Spreaker. Listen to “Spencer Dickinson talks debates, candidacy on Dan Yorke Show” on Spreaker.